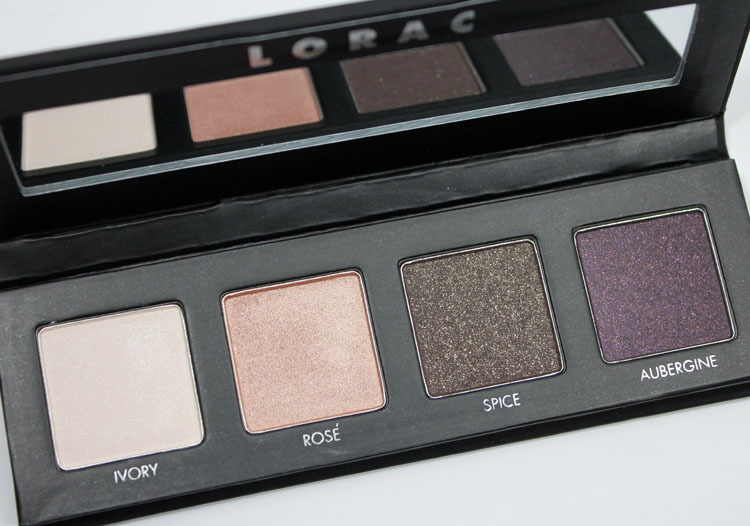 LORAC has some new fall goodies out for us which include both the Pro To Go collection, which is an Ulta exclusive, as well as some new Lip Lustre Gloss shades and I’ve got pics and swatches for ya! 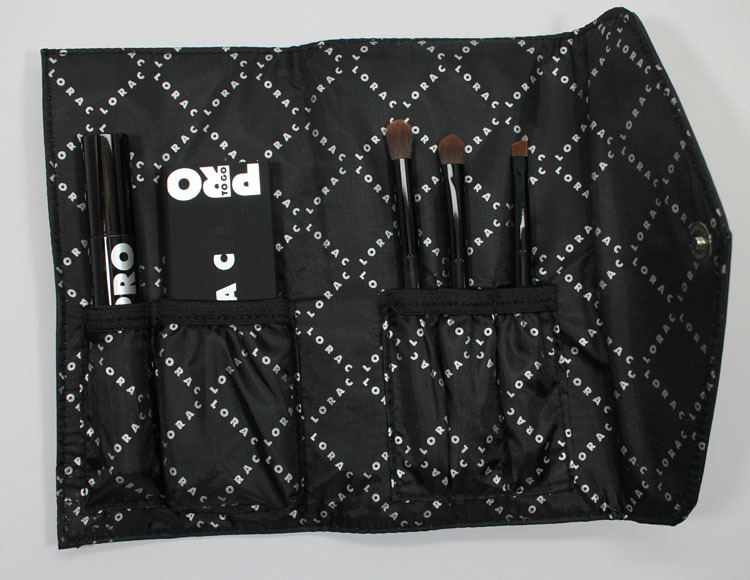 The Pro To Go kit comes inside a little envelope styled bag and includes three Pro brushes, a Pro eyeshadow palette with 4 shades and a Pro Black Mascara. 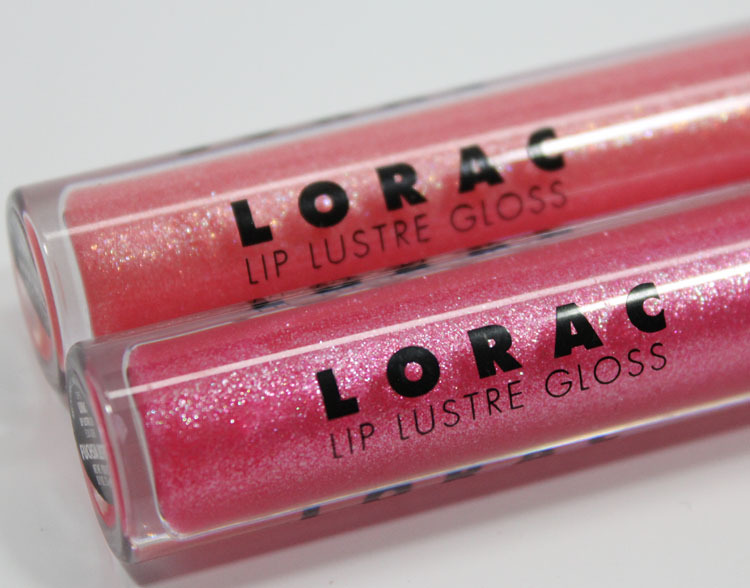 There are 5 new Lip Lustre Gloss shades are Rose Lustre, Fuchsia Lustre, Peach Lustre, 3D Lustre and Ruby Lustre. Each gives you a sheer, super shimmery, glossy look and include vitamins A & E as well as acai berry, pomegranate and grape seed for moisture and an antioxidant boost. 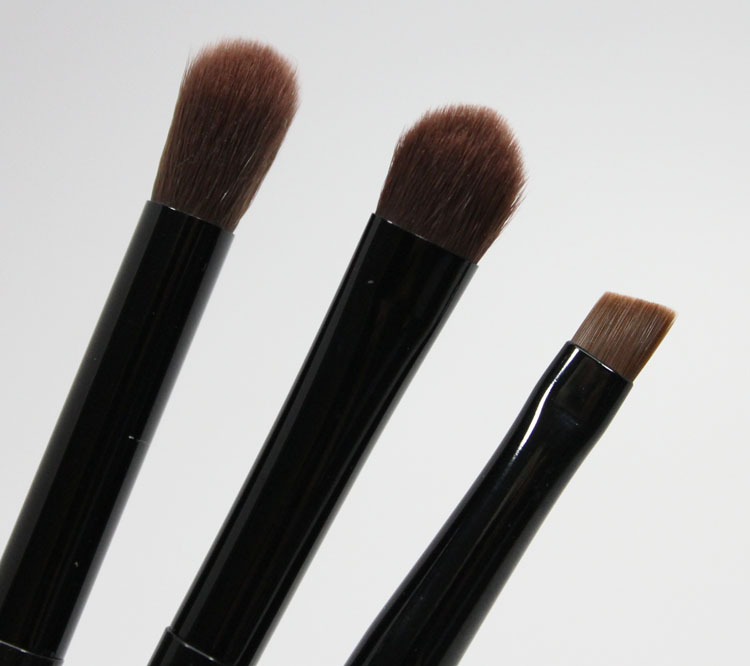 They are paraben free. Ivory is a soft ivory with sheen. Rosé is a metallic pale rose gold. Spice is a deep olive green/brown with heavy gold micro-glitter. Aubergine is a dark purple with fuchsia micro-glitter. 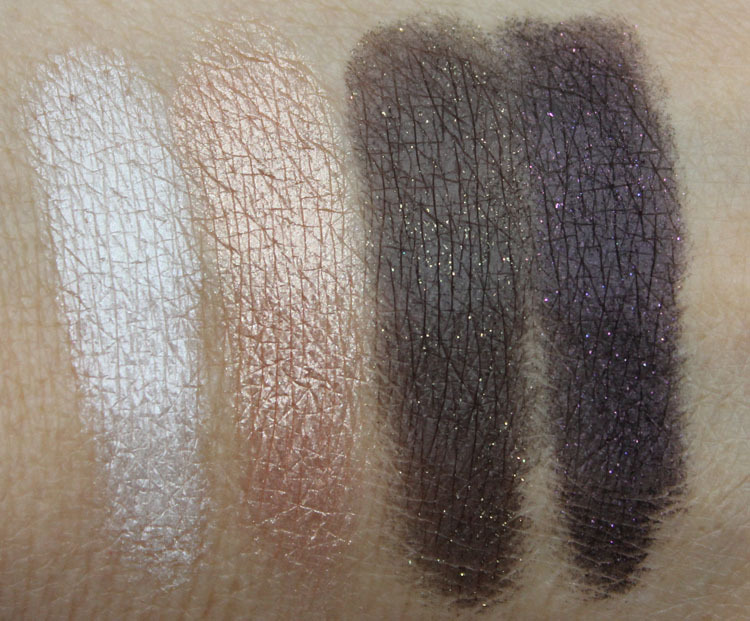 All four of these shades swatched beautifully over a primer and I got nice pigmentation and no patchiness. 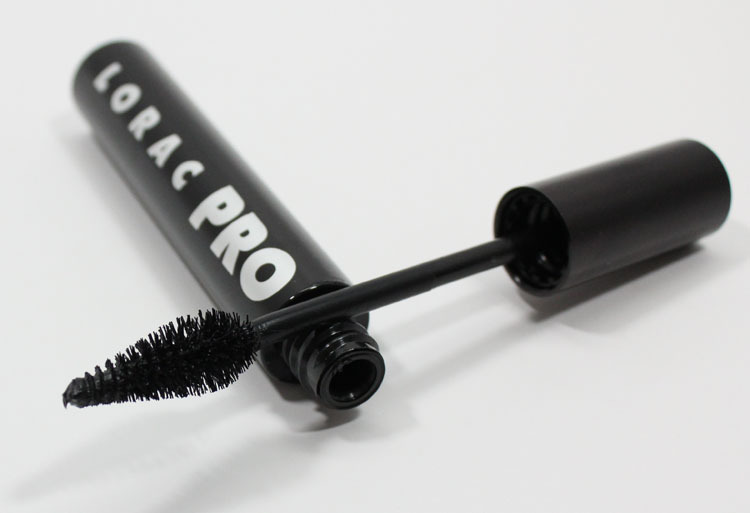 The Pro Mascara has a skinny tip and fat mid-section. It’s not hard to use per se, but I prefer my wands to be a bit more uniform. 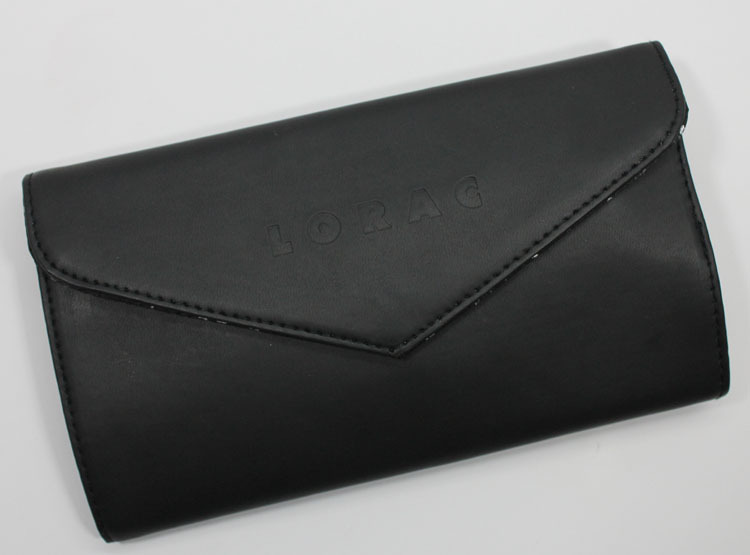 Nice jet black color though and I got nice thickness and lengthening with not many clumps to speak of. Rose Lustre is a soft pale pink. Fuchsia Lustre is a brighter pink. 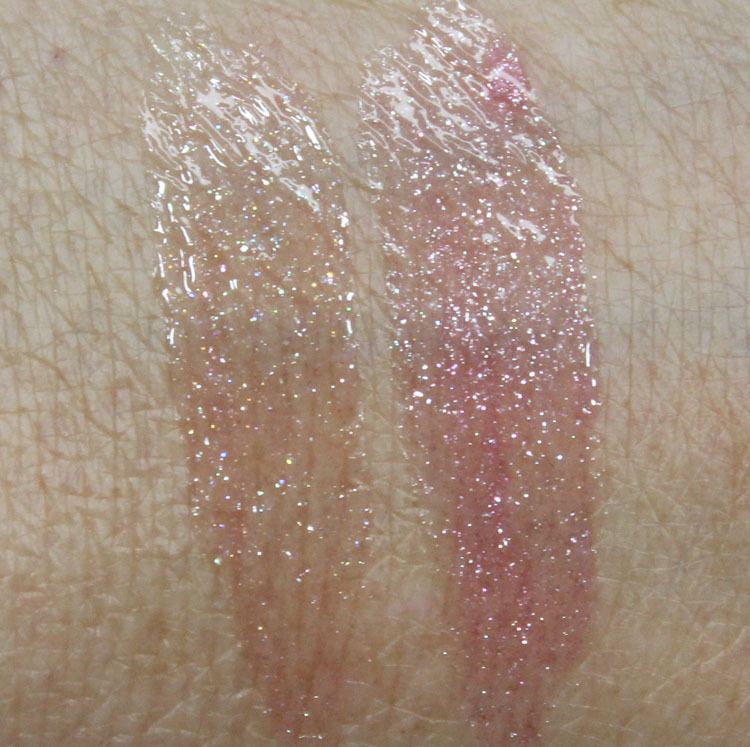 These glosses, as you can see, are very sheer but do offer a hint of color. 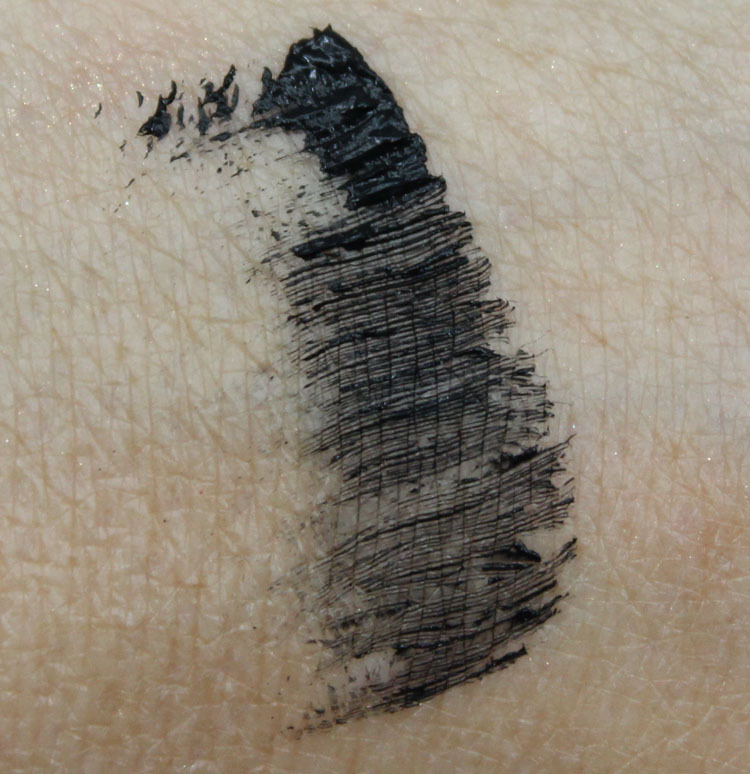 You might not get a ton of color but you do get major shine, moisture and sparkle with no stickiness. They have a slight vanilla/floral scent which I like. Overall: The Pro To Go kit is nice. I was impressed with the quality and shades in the eyeshadow palette and the brushes feel soft and nice, not like cheap minis or anything. The mascara is nice, I don’t love the shape though. 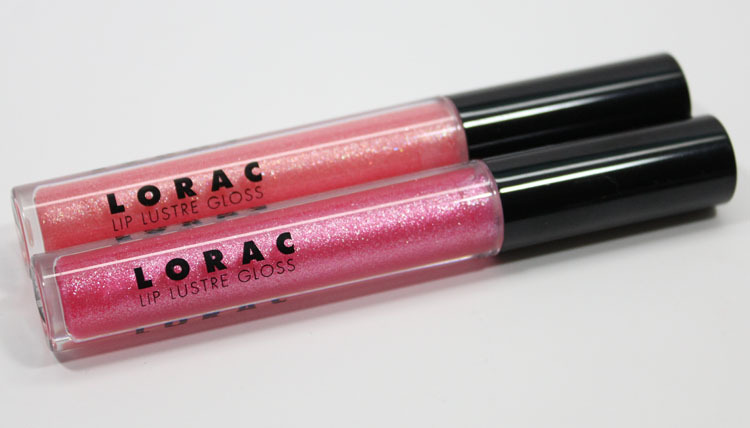 The glosses are great if you love a sheer shimmery lip. They definitely feel really moisturizing, non-sticky and have a nice light scent. 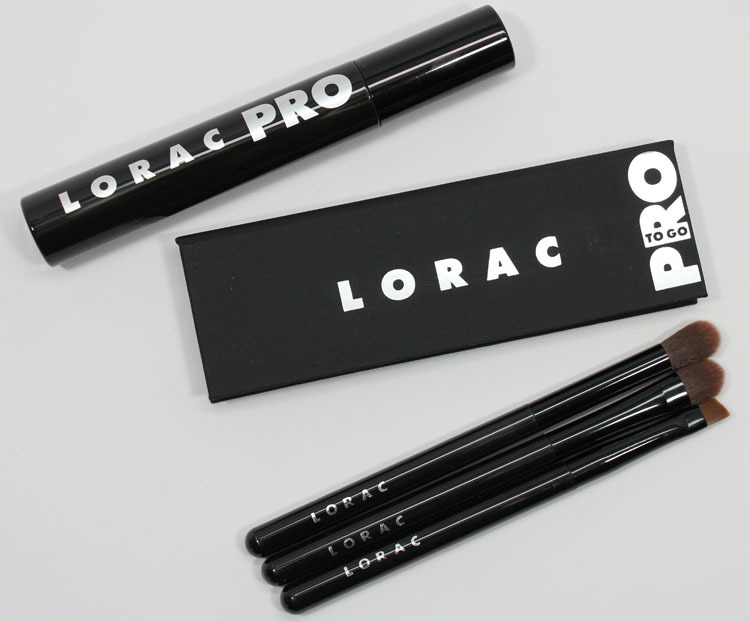 Availability: The Pro To Go set is an Ulta exclusive and the Lustre Gloss is available at Zappos and Sephora. See anything here you dig? Zoya Exclusive Promo Deal Information!